Prior to my third season with Bournemouth I managed to convince the board to improve my youth facilities to 'Top'! Full of excitement, I delved straight into the reserve team, to see what gems could be uncovered. 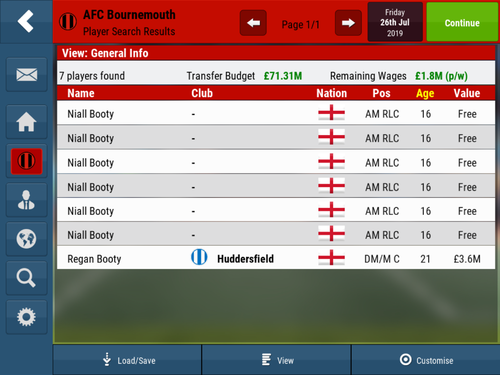 Naturally my eye was instantly drawn to Booty... Niall Booty. 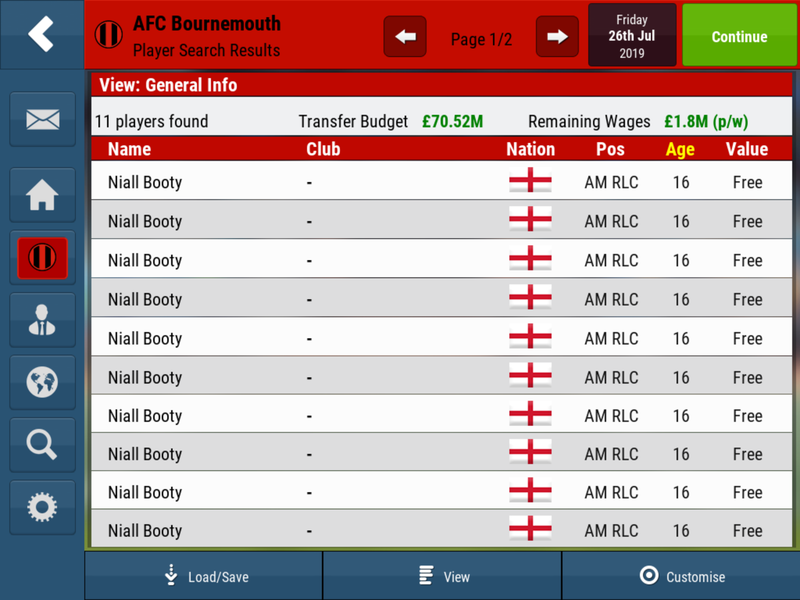 On closer inspection Booty proved to have impressive statistics, so there and then I offered them a contract. 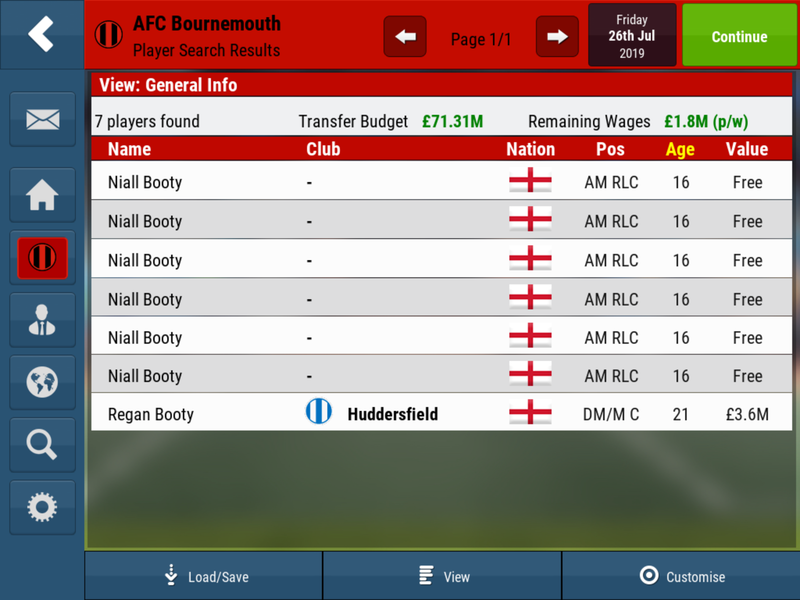 Unfortunately, my assistant manager didn't share my appreciation of Booty and advised that they were unlikely to make great shakes in my first team squad. Trusting in my coach I promptly released Booty and went back to my reserves hoping i might have missed a wonder kid the first time round. What I saw instead was... another Booty. Looking closer I could see this wasn't another Booty, it was exactly the same Booty! I once again released them and went back to the reserves to uncover the south coast Ronaldo. Yet again I came up against Booty. I lived this Booty groundhog day 16 times in total before admitting defeat, assuming it was a bug and continued with the game. After a couple of weeks, when one of my scouts passed his gold assessment, I considered that he may have a different opinion on Booty. Who knew top youth facilities came with cloning technology! Yeah, we're aware there is one specific route whereby this can happen, it's under review. 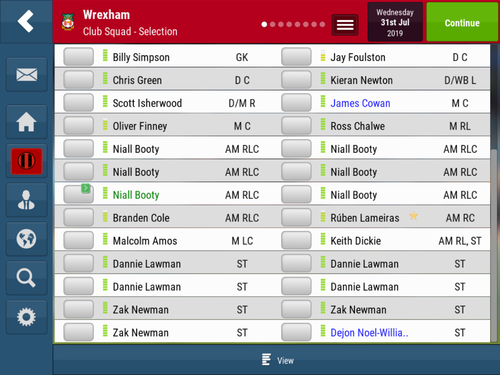 If you switch to main squad,and back to reserves,all the grey players regenerate. 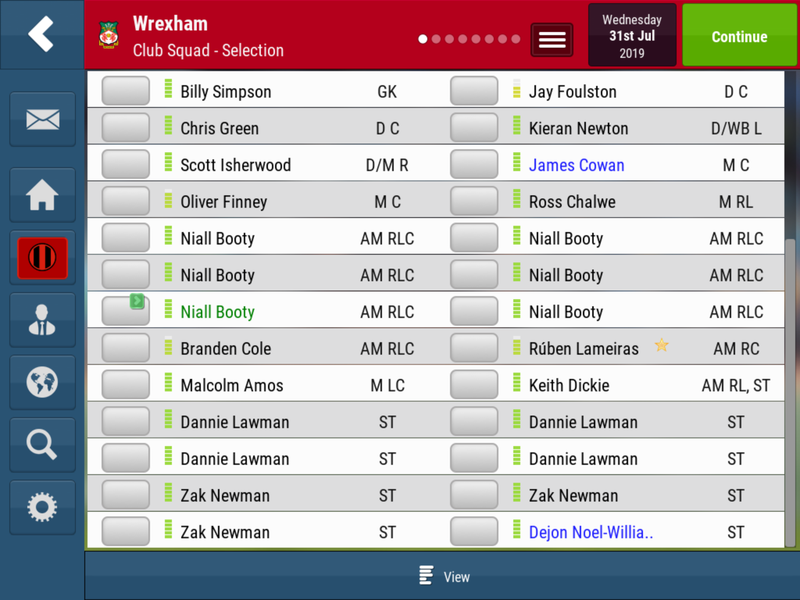 But,if you switch to main squad and back to reserves,they regenerate (including names), so no more Niall Booty.